For the first time, a federal judge has thrown out evidence obtained by the warrantless use of a Stringray to track a cellphone. This is a huge win for privacy. “Stringrays” are used by various law-enforcement agencies to track cellphones, collect communications, drain batteries, and much more. 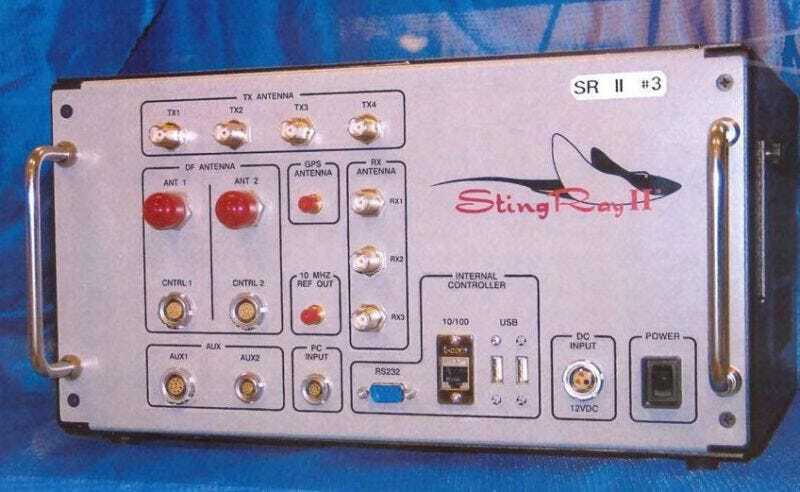 They’re mysterious devices that the public knows very little about, and Stingray use is considered by many legal experts to be a gross violation of citizens’ rights—especially when they’re used without a warrant. The FBI has even let criminals walk free to avoid disclosing information about how Stingrays work. Last September, the Drug Enforcement Agency used a Stringray to locate the apartment of a man named Raymond Lambis who was being investigated in a drug trafficking probe. When presented with the Stingray evidence, Judge William Pauley of New York’s Southern District Court just wasn’t having it. “Absent a search warrant, the government may not turn a citizen’s cell phone into a tracking device,” the judge wrote. To get a little more technical, Stringrays essentially operate as a dummy cell phone tower. Your phone connects to it, thinking it’s just a regular old tower but ends up sending a massive amount of data to be collected and stored by law enforcement. In this case, the Department of Justice tried to argue that a Stringray was similar to a wiretap and should be covered by what’s called the “third party doctrine” which allows law enforcement to collect data from third parties (i.e. someone who is not the suspect or law enforcement themselves. In the case of things like wiretaps, there is a third party (i.e. the cell phone provider) from which law enforcement can get information from. In the case of the Stingray, there’s no third party, so the judge ruled that the technology was not covered under the doctrine. Lambis’ lawyers aren’t sure yet if the case will be thrown out, but this is a huge step forward in reining in technology that many regard as invasive. Law enforcement will now have to think twice before using one of these warrantless devices that have powerful spying capabilities, as it might not be able to use the evidence in court. This doesn’t mean that Stringray use will stop or that the devices will be immediately outlawed. It’s simply a glimmer of hope that the law might finally catch up with the advances of digital age. And, more practically, law enforcement will need to get a warrant before it conducts a search.